This product is prepared through the nano processing technology from a solids content of 20wt% nano maifanite powder. Properties: small particle size, dispersed evenly, safety, environmental protection, stable, reliable, and easy to be used, not grainy, large emission capacity. It can improve plant micro-circulatory system, promote metabolism effect. Widely used in cosmetics, especially whitening products; Far infrared for preparing textile finishing agent; Functional coatings for a variety of far-infrared; Used in the manufacture of a variety of far-infrared day care supplies; Used in manufacturing other kinds of far infrared products. In cosmetics, 0.1% -0.2%; In other industrial products, 5-10%. 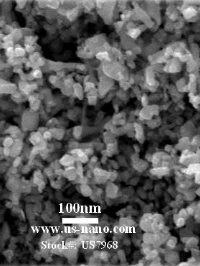 Note: Nanoparticle dispersions are suspensions of nanoparticles in water. These dispersions can be used as-is, or diluted with suitable (compatible) solvents. Nanoparticles in dispersions can sometimes settle upon storage, in which case they can be mixed (shaked up) before use.